Throughout the season, our coaches will be highlighting athletes who have had a standout week while competing for Gill. As a way of warming up, they selected student-athletes who showed great effort and enthusiasm during the hot days of pre-season training. 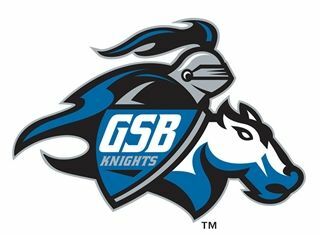 Be sure to check in and see who will be named our weekly Knights of the Week as the school year unfolds. 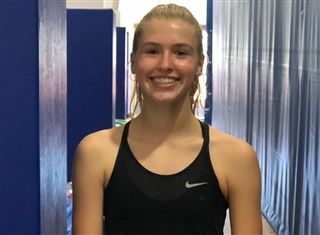 Lucie Antonius '21 has been dedicated to her training plan all summer with steady, consistent progress. She is starting the season with a strong foundation on which to build. Lucie's going to be someone to watch in the season's competitive meets. David Frankel '22 worked hard during preseason, finishing very high on all his fitness tests. 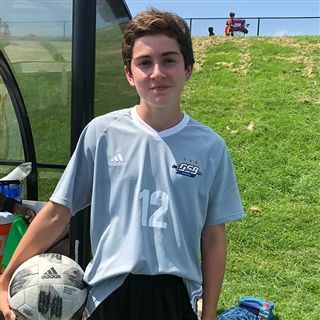 David earned a starting position in the Christian Brothers Academy scrimmage and had all of his hard work rewarded as he scored the Knights' lone goal in the 1-1 draw with the 11th ranked Colts. 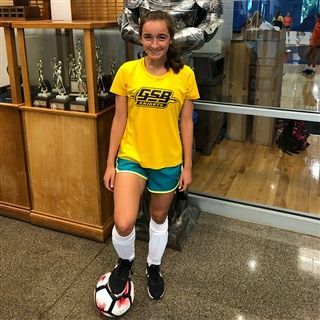 Emily Raia '20 turned up to pre-season fit and ready to go. She has put her head down and worked very hard so far while topping that off with a good performance in our first scrimmage. 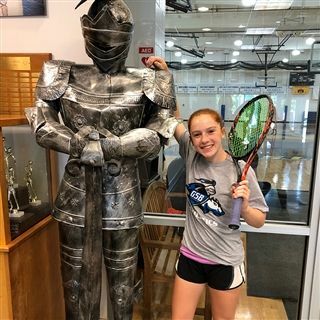 Michaela Croon '22 worked hard at tennis camps all summer and she earned the third singles spot for varsity.